On Monday, 3rd September, the Wentworth Lions played the Orewa College 1 team and won 15 to 8. We had a very good first half and some say it was our best game, but our second half didn't quite meet expectations because we got tired and got a bit confident. The other team was mostly a bit smaller but still put up a decent fight. The following week, on 10th September, we played Kingsway No Limits and won 38 to 16. We had a very good first half and got in the majority of the shots and blocked many from the other team, although in our second half we started to get a bit lazy and missed shots and rebounds. The other team were all quite small but still managed to have some good plays. Wentworth Gymnasts Gold & Silver at AIMS! Our Year 7 and 8 Wentworth gymnasts travelled to Tauranga last week for the AIMS Games Rhythmic Gymnastics competition and won a total of nine medals. In the Twisters competition (for Novice and Club Level 1-3 gymnasts), the team of Sophia Gardiner, Teresa Sell and Natalie Brewer won Gold medals. All three gymnasts also took top placings individually with Sophia winning Gold, Teresa winning Silver and Natalie taking Bronze. In the Flyers competition (for Novice gymnasts), the team of Imogen Herbert, Charlotte Sancto-Jones and Bethany Smith won Silver medals. Their individual placings were Imogen 4th, Charlotte 5th and Bethany 6th. A huge "thank you!" to coaches Kate Heard and Claire Wiggin for all their expertise and the time they have put into coaching the girls. These were amazing results from our gymnasts - well done girls! The senior boys hockey team completed their season with a close and hard fought Grade 3a final against Albany Senior High School. It was an amazingly close match, with Wentworth taking the lead leading into the second half. Unfortunately two quick goals near the end of the game allowed Albany to secure a 2-1 victory, with Wentworth finishing runners up in the grade. It has been a great season for the boys, with a number of polished and strong performances. A huge thank you to all of those people who came to support the team. It was a great atmosphere for the team to enjoy in their final match. The Wentworth Lions played Kingsway Edge and had a big win of 27 to 2. We had no subs so we did get tired, however the Kingsway team were a lot smaller which made it easier. We did get a bit over-confident at times and missed simple shots but we still came away with a good win. The final game of the season had spectators absolutely enthralled and the Year 7 Netball girls were brilliant! It was end-to-end play for the first half of the game, however after the third quarter they were down by several points. Nevertheless, they held their nerve to produce outstanding play in the final quarter, winning by a couple of goals. Fantastic result girls! Team 1 had a great game. The players are working well as a team with fast passing, great shooting and a solid defence. 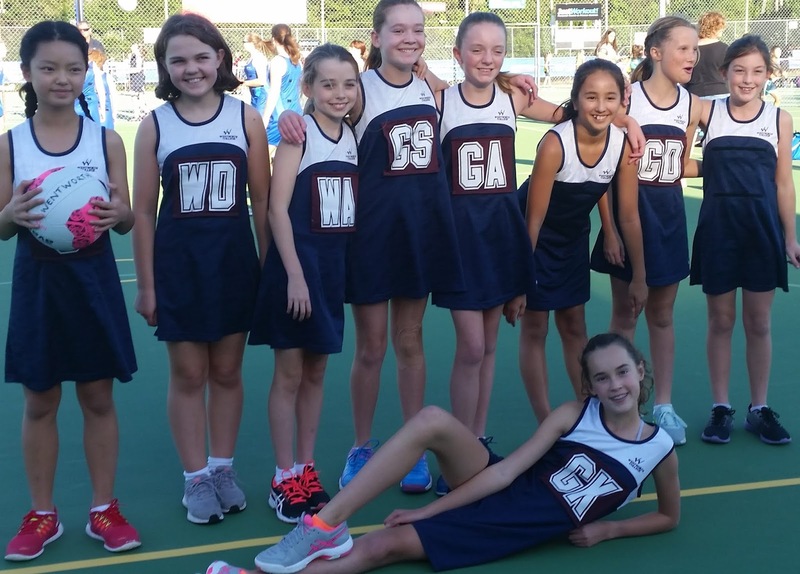 The Year 7 team had another successful game last week, although cut short due to the lights going out after the third quarter. 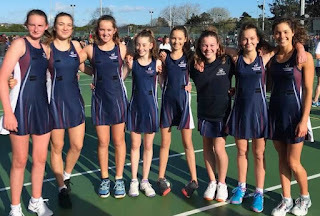 The team beat Takapuna Normal Intermediate School and were well on target to score more than 30 goals, if they could have played the last quarter. There was again great team support, coupled with strong quick passes and tight defence, resulting in tips and intercepts as well as great shooting - well done girls! The Senior Boys' Hockey team played their semifinal against Mahurangi this week. It was a tough match with end to end attack for much of the first half. The Wentworth team took advantage of a couple of fast breaks to finish goals either side of the half. A stunning goal by Lewis Pangalila broke the defense open and the team finished off the game with another goal to finish 4-0. This week we have the Grade 3a final against Albany Senior High School to finish off the season. 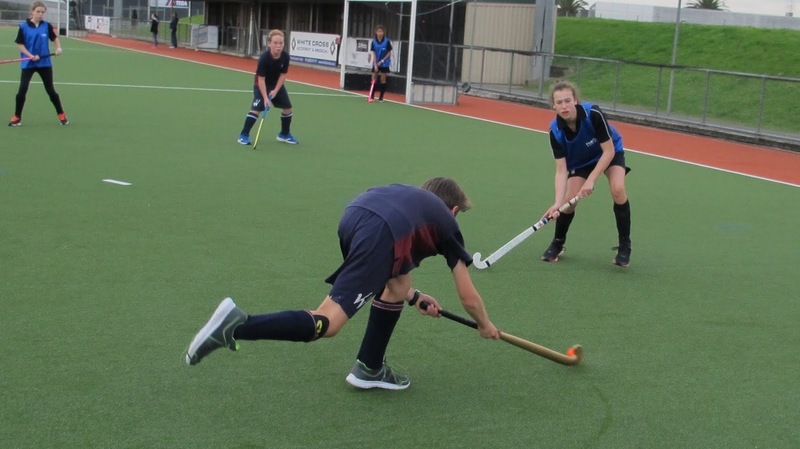 On Thursday, 16th of August, the Girls' First XI Hockey team had a blinder of a game against Mahurangi College. The girls put in a great team effort, winning five to one. Team connections were very strong and links to get the ball down the turf were quick. Anna Nelson scored the first goal of the game. Amy Riddle and India Grigson both had a great game scoring two goals each. Anya Khalid, our goalie, had a fantastic game along with our defence by keeping the ball out of Mahurangi’s attacking end. An excellent game overall. 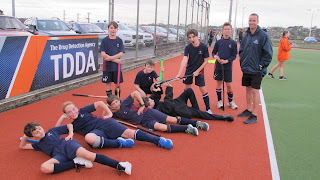 The last two weeks of games for the intermediate hockey team have seen the team win a close game and lose a close game. The 1-0 win came against Orewa College, a team that were made up of players well known to the boys, with an early goal followed by a mix of strong possession play and effective scrambling defense. The team came away feeling satisfied with their performance and it meant a third equal placing on the ladder. Player of the Day went to Elliot Houghton for his effort on defence and impressive attacking display. The loss came the following week against a Whangaparaoa team that were on top of the points table. After an early goal by Jack Austin, as a result of early possession and territorial advantage, Whangaparaoa started to hit their straps and combined well on attack to overwhelm our defenders and score two goals before half time. With the game still in the balance for most of the second half and opportunities for both teams to find the back of the goal, Whangaparaoa put the result to bed with a late third goal. The boys again felt satisfied with their performance against a team that had previously scored a lot more goals on us earlier in the season. Player of the Day went to Louis Straker for his contribution as a defender - a position unfamiliar to him until now. The team are looking forward to pushing for a spot high up the ladder in the coming games. Today the Wentworth Lions played the Wentworth Gators. We lost 36-11 but was still a good game. When we started to pass and work as a team, we had some great play and managed to gain a few points and stop some goals with some good defence. However, the Gators just had too much skill and were the better team on the day. Team 1 had a spectacular game on Saturday against Carmel College 8 and scored the highest number of goals so far this season. The team had previously played Carmel earlier in the season and lost against them by one goal, so this was an amazing result. Well done girls! The Year 7 team played an amazing game on Thursday against Ponsonby Intermediate 7/3, scoring their highest score so far this season of 30 goals. The team’s performance is going from strength to strength, improving each week that they play. On Thursday, 9th August, the Girls' Hockey First XI played a game against Hobsonville Point at North Harbour. Unfortunately, the girls lost 7 - 2 but definitely put up a great fight as most of the senior players were away due to participation in the school production. Our goalie for this game was Maddie Rist who had a great first game. Amy Riddle and Dasha Ruzich were our goal scorers for the night with some excellent shots. Overall, the team left everything out on the turf and put up an excellent effort. On Thursday, 28th June, 10 Wentworth students took part in a rhythmic gymnastics competition in Takanini and came away with outstanding results. In the Years 9 and 10 Group Competition, the team of Bronte Heath, Emma Gilpin, Alex Dobson and Caitlin Smith won Gold. Our Junior team of Natalie Brewer, Teresa Sell, Imogen Herbert, Bethany Smith, Charlotte Sancto-Jones and Stephanie Ye won Silver, which is an amazing achievement for a group of Years7 & 8 students. In the Novice Open Individual Grade, Wentworth took all top placings, with Emma Gilpin winning Gold, Caitlin Smith winning Silver and Alex Dobson taking the Bronze. The others students also did well, with Natalie Brewer in 4th place and Bethany Smith in 6th. Teresa Sell and Imogen Herbert were placed 8th and 9th respectively. These were amazing results for our gymnasts - well done girls! 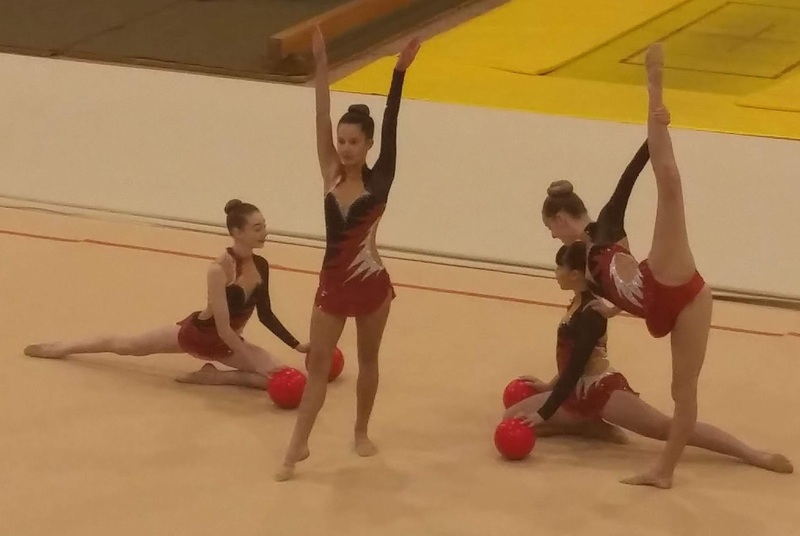 All gymnasts have qualified to attend the New Zealand Secondary Schools Rhythmic Gymnastics Championsships in September this year. Wentworth Lions drew with the Kingsway Legends 19-all. The Kingsway team had older players and were much taller, but at times we out-skilled them and managed to have some very skillful play. We had a very close lead for most of the game but started to rush too much and Kingsway managed to get a few baskets and the game ended as a tie. The boys played a match during the first week of the recent school holidays, winning 10-3 against Northcote College, followed by a bye during Week 1 of Term 3. The team are currently in 2nd place overall with two more pool games to play before the semi-finals. We look forward to seeing the team finish the season strongly. Girls' First XIOn Thursday, 2nd August, the Hockey Girls' First IX played at Warkworth against Mahurangi College. The first 20 minutes were tough with Mahurangi scoring two goals in quick succession. Finally, we made a comeback and won 4-2. India Grigson scored two goals, Alex Wood scored one goal and Beau Walbran scored the final goal. The whole team, including Anya Khalid as goalie, did a very good job to keep out any other shots at goal, concluding with a very pleasing game and a great score to go with it. Term 3 saw the start of the competition round for the team. After some good results towards the back end of the grading round, the boys did enough to be placed in the A grade. The first game was against one of the three Whangaparaoa College teams that had previously got the better of us, and they were on track to repeat that performance with two goals before half time. With some missed opportunities in the first half from our boys, Whangaparaoa were confident going into the second half that they were still in the contest. We managed to show some good character and attacking play to score two quick goals and draw level on the scoreboard. Although both teams had further chances to win the game outright, the game ended fairly with 2 goals each. The following week against Ponsonby, the team got off to a much quicker start and dominated territory and possession. The boys managed to find a way through Ponsonby's persistent defence to score twice in the first half. A fired up Ponsonby came out strongly in the second half and reversed the territory and possession in their favour which eventually turned into a goal being scored and the score being 2-1. For the second week in a row, great determination from Wentworth was shown to restrict any further scoring and the team held on for a hard fought one goal victory. The Wentworth Lions played the Wentworth Gators on Monday. While the Lions lost, it was a really close game. We all expected to have a really tough game so we played really hard in the first half and stopped them from scoring many points, however in the second half we got too tired and the Gators just ended up being a bit too good. The final score was 16-2. Team 1 had a close game with Carmel College 8 last Saturday, losing by only one goal. It was a tough game and the team played their best. The team were boosted by a few players who agreed to step in at the last minute, as some were unable to play. A valiant effort was made by all in what proved to be a high pressured game. Unfortunately the physical height of the other team beat us on the day, but a good game was had by all. The Year 7 netballers continued their battle with sickness and had to call upon other students to make up a full team. Many thanks to Rosie Donovan and Stephanie Ye for once again stepping forward to help the team out! The team played TNIS 7/3 last week and lost 23-13. The team did their best under the circumstances but needed to watch their passing as they kept losing the ball to the opposition. This Thursday, the team played Carmel 7/2 and it was a close game. They lost 19-16 and there is still room for improvement in their passing. This week the boys had a well earned win against Long Bay 7 - 0. They started slowly but from half time onwards the team played with width and were able to break down the defence more effectively. Some of the development players played well up front for the team, with some scoring their first goals for the season which was great to see. With one more game before a break for the holidays the team is well placed in 2nd place in Grade 3A. 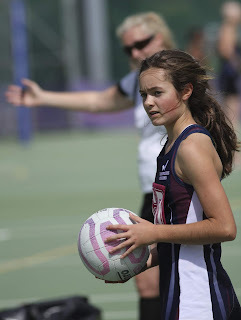 The girls also played Long Bay this week and had a closely fought 2-all draw. Down 2 - 0 at half time, the girls played a much more inspired second half to draw level. Although the Wentworth team controlled possession for much of the second half, they unfortunately could not quite finish off the match with the deciding goal. There was some great play from the team and notable mention must go to Anya Khalid who had a strong game as Goalkeeper. Due to the poor weather on Tuesday afternoon all Intermediate hockey was cancelled at North Harbour this week so there is no result for the this team. The Lions played the Kingsway Legends who only had three people so borrowed players from other teams.The Lions lost but it was a very tight game and the team were always one point behind. No reserves meant that the Lions had to work very hard but they all got too tired and ended up falling further behind right at the end. The Gators played the Orewa College Jordans and this game was the toughest the team has played this term. The Gators lost 35-15 after a disappointing first half although they managed to keep the game much tighter in the second half. The team played well considering they only had the minimum of five players as the others were sick or injured. Next time the Gators play this team, the score will be a lot closer. The Bears had a great win this week against Kingsway, winning 30 - 0. There was some great interplay between the 5 Wentworth players, passing the ball more effectively this week and making a number of their shots. The team did a great job on defence to keep the opponents scoreless, and they communicated well as a team to mark players closely. Well done. The game last Sunday evening was an outstanding lesson in team playing. Although they had a player down and no reserves, our young swimmers displayed excellent offensive work, passing often and accurately firing shots into the net seemingly every time they got close. On the few occasions the opposition, Orewa College, got the ball they didn’t keep it for long as one of our team would challenge them and skilfully take possession. It was a brilliant performance all round and the winning score of 18 to 1 was well deserved. The Fast Five team battled against a strong team, the Well Aged Great Whites. Our small team worked well but were ultimately subdued by the overwhelming size of the opposition - both in numbers as well as physical size, as five of the opposition team were grown men. It was great to see all of our Fast Fives' play sportingly and determinedly. Unfortunately, we were overwhelmed and the full-time score was a loss of 7 to 23. Team 1 had a convincing win against Takapuna 4 on Saturday. Our defence worked well together to stop Takapuna scoring goals and out attack improved as the game progressed. The team has played two games since grading and are currently top of the table based on goal difference. Although Team 2 lost this game to the Raiders, the team is making improvements in their play. The team is communicating well on court, spreading out more and making less risky passes. The team's performance has improved as a whole since the last time they played the Raiders. 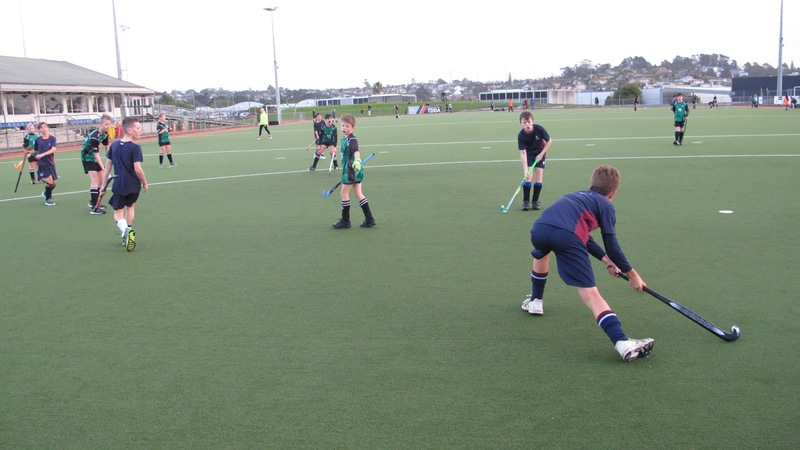 The Year 8 team had a great game on Saturday, beating Orewa 7/5 22-10. It was a fun game and Louis stepped in to play as the team were short on players. It was a tough game last week for the Year 7 team as they were short of players due to sickness. The team were missing one of their key shooters which impacted on the number of goals they were able to score. The Boys' First XI had a rematch of their grading final again this week against a strong Albany Senior High School team. In absolutely horrible weather conditions the boys fought hard after 2 quick goals by Albany put them on the back foot. There was some outstanding hockey played by both teams, with Albany coming out the victors 5-2. After the game our team was commended by the opposing management on their fair play and overall sportsmanship in helping opponents up off the ground. It was the first loss of the season for this team but a well played match. On the 14th of June Wentworth Hockey Girls' First XI won their game 2-0 against Birkenhead College! It was a tough but enjoyable game and luckily the rain held off. The defence were extremely strong and solid, as Goalie, Anja, didn’t even have to touch the ball! We all worked very well together as a team and that was a key component to winning the game. The team had already played Birkenhead a few weeks earlier and tied 3-3 so everyone was very pleased to grab a win. There was very clean and strong passing and our PC’s (which we had practised a lot in training) worked very well. Overall it was a very pleasing game and we all look forward to hopefully getting another win next week!! 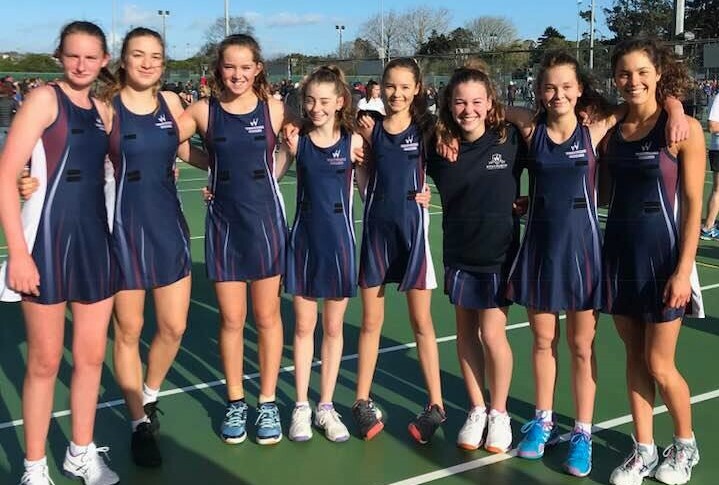 The Wentworth Lions played the Whangaparaoa College girls' team on Monday, which were short on players and ended up being a mixed gender team. Wentworth won 21-11 and although Wentworth did get a bit too excited at times and played too quick, the team still came out with a solid win. The Wentworth Gators played the Kingsway Legends and came away with a 32-18 victory. The Kingsway team were quite tall, which was a challenge for the team, however the Gators' superior ball movement and structure broke down the Kingsway defence effectively. It is great to see this team playing effective, controlled basketball to take yet another win this term. The Tigers played Kingsway on Monday. Kingsway are a good team and won the game. Their defence was tight so all Wentworth could do was distract them by passing and hope that an opportunity would come up. The Bears had a good game and won by over 15 points. The team continues to develop their teamwork and cohesion. Well done, Bears! Wentworth 7/8 lost 8-17 against Wangaparaoa 7/8 Blue. Wentworth 9/10 lost 4-8 against the Stingrays. Team 1 had a challenging game against Pinehurst 2 on Saturday. Wentworth got off to a good start in the first quarter but by half time both teams were evenly matched on goals. By making changes to their attacking tactics, Wentworth pulled ahead in the last two quarters to win the game 34-28. It was an exciting game to watch! Team 2 had a tough game against the Cubs, losing 39-21, but the players are improving every week that they play. Year 8 lost 9-11 to Orewa 7/4. The Year 7 team had their first win of the season last Thursday against Ponsonby 7/3 with an impressive score of 25-10. The shooters put in a solid performance and we began to see an improvement in the team’s defensive play. The mid-courters played well throughout the game. Well done girls! The Boys’ First XI has completed a successful grading round in the North Harbour Hockey competition, moving into Grade 3a off the back of a number of strong performances. They completed the grading round unbeaten, with a hard fought draw against a very evenly matched Albany Senior High School team on Wednesday night. The game finished 1-1, with a lot of passion and intensity from both teams. The team finished the grading round with 37 goals for, and 2 against, which is an outstanding effort. Well done on achieving the first objective of the season and moving up a grade. The Girls’ First XI had a tough game last Thursday against Rangitoto. The final score was 2-2 which was an accurate representation of how close the game was. Beau Walbran and Dasha Ruzich scored the goals for Wentworth with an excellent effort from the rest of the team. The Years 7 & 8 Hockey boys have had two contrasting results over their last two games. Last week the boys had a loss against a well-drilled Wainui team, but their passing game progressed in leaps and bounds. In this week’s game the boys came away with a 4-2 win over Takapuna Normal Intermediate due to some strong attacking play in the second half. Wentworth golfers were playing in the Auckland Regional Strokeplay Championships. The first round was played at the Akarana Golf Course in Mt Roskill. It was a very cold day and most of the golfers struggled with the soft conditions. In the boys' competition, Davis Oh lies in 9th= position but only 3 shots from the lead. The girls struggled a little more but Amy Im is currently in 6th place, Apple Ngamwong in 7th place and Iida Rissanen in 10th place. The second round will be played at Muriwai Golf course in August. The senior boys' team continued its winning ways last week, winning their match 3-0 before the hail ended the game early. It was a cold and miserable evening on the pitch, however the boys managed to secure a victory and remain unbeaten heading into the final week of the grading competition. This sees the Wentworth team in a good position to secure promotion up to the next grade for the competition this year. The girls played Birkenhead at the Kristin Hockey turf. It was a really close game with the girls finishing the first half 2-1. The second half proved equally close with the Birkenhead girls scoring straight away and levelling the result. After significant time in the opposition's half the Wentworth girls scored another goal only to let one through in the last 5 minutes. The final score was 3-3. The intermediate hockey season is underway with 8 boys involved in a 6-a-side competition at North Harbour on Tuesday afternoons. The boys have had a tough start to the season with three losses and a win to kick off the grading round. However, the boys' enthusiasm and enjoyment remains at a high level and they are showing steady improvement each week. Senior Team 1 played their last grading game on Saturday at North Harbour against Birkenhead 2. At the start of the game, the two teams were evenly matched on goals but Birkenhead pulled ahead mid-game leaving Wentworth trailing behind by two goals. Wentworth came back in the last quarter to level the score and with good teamwork and determination won the game with a score of 29 to 28. Senior Team 2 had a tough game against the Raiders but the players improved on their previous game. It was a challenging game and the team lost 36-12. The Year 8 team lost 15-4 to Orewa College 7/2, and felt very small against their tall players. Rosie Li played in centre position and was the star Player of the Day. The team enjoyed the game and had fun. Grading at North Harbour has finished and and the Year 7 team have been placed in Grade 3 Red. The Year 7 team had an actioned-packed game on Thursday against Northcote 7/2. The team struggled to find their form in the first quarter, trailing behind 7-0. By making some player changes, Wentworth were winning the game in the third quarter, ahead by four goals. Unfortunately, the team lost its focus in the last quarter and were beaten by Northcote 21-20. A big thanks to all players and parents for 'hanging on in there' as the season got off to a faltering start. With the change in water polo organiser coinciding with the refurbishment of the Leisure Centre pool (and subsequent delays), things have been a little chaotic. It wasn't helped by our school being known by two names in the fixtures list, leading to some players missing Sunday's first Y7/8 match. We have asked that we be known as either Wentworth or WW in future listings. Unfortunately, due to the mix-up and illness, we did not manage to field a full team at either of the Y7/8 matches meaning that we were forced to forfeit both of those games. However a big thanks to those who played; it is all good practise. In the Fast Five team we managed to field a complete team and what a great game! I was impressed by the excellent passing and powerful goal shoots. It was a really good effort by all of you. We have a break with the Queen's Birthday holiday so the next matches will be on Sunday, 10th June. I will email a fixtures update the week before. 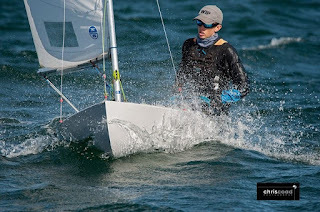 Top National 'Starling' Sailor - 2nd year in a row! Congratulations to Sean Herbert (Year 12) who successfully defended his National 'Starling' title at Worser Bay in Wellington recently. Sean joins an elite group of only 3 other sailors who have won this event 2 years in a row - Rohan Cooke, Tim Christiansen and Peter Burling. Well done, Sean! Congratulations to Tori McTeigue (Year 13) who competed at the NZ National Age Group Championships in Albany during the April school holidays. Tori was awarded the National Age Champion for the 100m Butterfly, as well as securing 3 bronze medals in other events. Well done, Tori!